Is a sub unit of the Japanese idol group Sakura Gakuin. They are the sixth sub unit to debut from the group, following Twinklestars, BABYMETAL, Mini-Patisserie, SCOOPERS and sleepiece. 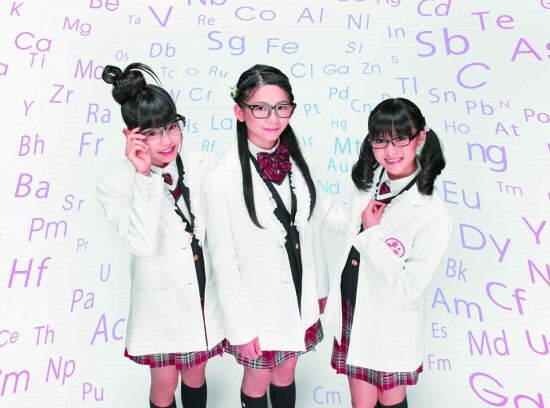 On September 1, 2012, it is officially revealed the Science Club will be the newest unit and the members of the Science Club are Marina, Hinata and Rinon. This new unit is a science-themed unit; its jargon is "fun with science". Marina said that "it's kinda 'hard' when hear science word, but we want to bring it fun and interesting on the stage". LOGICA? 's costume is like a scientist. They use lab coat and goggles as their usual outfit. They released their debut single (サイエンスガール▽サイレンスボーイ) on November 21, 2012. This single is composed by Mr.EHAMIC who has worked with vocaloid before and have techno-pop genre in it. They held a live event on nico-nico video at the release date. LOGICA? Is not only singing and dancing. Like its theme, they also doing some lab experiment and sometimes they held it publicly. You can see their video on LOGICA? official YouTube channel.